The Behavior-Based Safety Process Since the behavior-based approach to accident prevention was launched in 1980 by the author and his associates, safety performance is increasingly prominent on the agendas of many companies. Several powerful factors contribute to this trend. The widespread reorganization of personnel into work-groups that are leaner and more self-directed, the increasing importance of international competition, the growing awareness of critical environmental issues these and related factors highlight the value of any mechanism that promotes continuous improvement in safety performance. 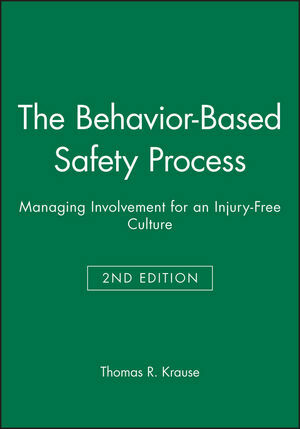 Detailing a step-by-step approach to just such a mechanism for continuous improvement, The Behavior-Based Safety Process is a path-breaking guide that represents an important resource for anyone concerned with performance related issues in the workplace. As the title indicates, the focus is on process versus programs. The reason is simple: off-the-shelf safety imposed from the top down does not meet the safety needs of most organizations. This fact has been abundantly demonstrated in facility after facility throughout the 1970s and 1980s. In genuinely meeting the need for continuous improvement in safety performance, the behavior-based approach presents many parallels with the quality improvement process. Both of these approaches use scientific methods to identify, measure, and provide feedback on upstream factors of excellence. In the case of the behavior-based approach to safety, these upstream factors are critical behaviors that are the leading indicators of safety performance in the organization, targeting areas of concern in advance of even first-aid incidents. For an in-depth treatment of how to integrate behavioral and statistical methodologies, see the author s companion volume from Van Nostrand Reinhold: Employee-Driven Systems for Safe Behavior. In addition to presenting these parallels with quality. The Behavior-Based Safety Process also provides powerful techniques aimed at implementation issues: organizational development, trainer-training, and employee involvement. The author and his associates developed these techniques over a decade of consultation with a variety of industries, working closely in that time with such safety leaders as Monsanto, Shell Chemical Company, ARCO Chemical, ALCOA, Rohm and Haas, Scott Paper Company, Georgia Gulf Corporation, The Pillsbury Company, and Chevron U.S.A.
Thomas R. Krause is the author of The Behavior-Based Safety Process: Managing Involvement for an Injury-Free Culture, 2nd Edition, published by Wiley. Recent Developments in Behavior-Based Safety. Foundation Concepts of Behavior-Based Safety Management. Data-Based Action-Planning for Continuous Improvement. Introducing the Behavior-Based Safety Process to a Site. Training for the Basic Skills of the Process. Training Observers and Conducting Kickoff Meetings. Improving the Quality of Behavior-Based Safety--A Model. Transitioning Away from Safety Incentive Programs.